It should be no news that arts funding is not prioritized in K-12 education. While this remains a constant, teachers and other educators try to come up with ideas to incorporate all aspects of art education in their curriculum. Justin Wheatley and Clint Whiting, of Connection High School in Salt Lake City, have come up with one idea that is more about art appreciation than art making. Wheatley explains, “One of my goals as an art teacher is to educate my students on the joy that can be found in having art in their home.” Along with Whiting, Wheatley has organized his first “Buy Art, Not Drugs” fair to provide students with the opportunity to buy an original work of art. Students will be encouraged to take the money they get to spend on vending machines and going out, and put it towards a work of art that they can take home and enjoy for a much longer time. “As part of the project, we will talk about various celebrity art collectors the students can identify with and why art collecting is important to those people, and how it can add to their own lives,” Wheatley states. 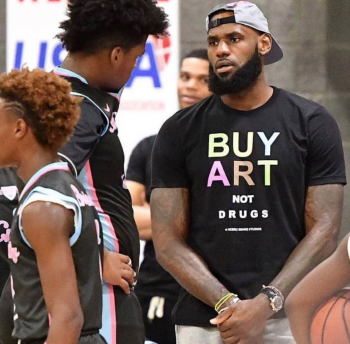 His first Instagram post about the project featured a shot of NBA star LeBron James wearing the t-shirt that inspired Wheatley. Wheatly and Whiting work at a public alternative high school where much of the student population is on free or reduced lunch. Because of this, and to make the art fair feasible for students, the art works will be priced from $2 – $10, and 100 percent of the proceeds will go to the Granite Foundation, which provides food, supplies, and glasses for students. Wheatley said the response was quick and generous, and the donations came flooding in. “I don’t like asking for donations,” says Wheatley. As an artist, he understands the time and effort that goes into creating art. 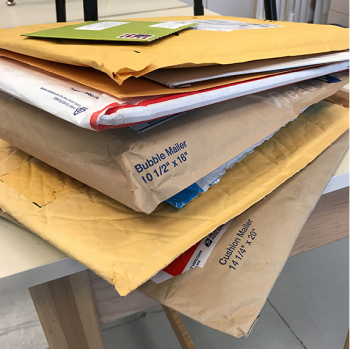 Therefore, in order to still look to the community while respecting the integrity for the artist, Wheatley has asked for quick studies, drawings, collages, maquettes, or other work that is “simple but still beautiful,” though, they will not reject any works donated to the fair. 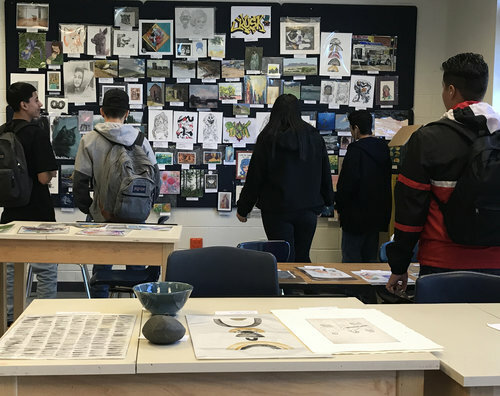 As he explains, “The goal is to have work that students find interesting enough to want to take home.” To include students in this process, the art fair will also include original pieces by students. Once students have purchased the work of their choice, they will be encouraged to write a thank you note to the artist, and describe why they found joy in the work. More than 70 artists — the majority from Utah but many from across the country — have donated work. Wheatley and Whiting have already used them as teaching tools, asking their students to write a critique of a work of their choice. The sale happens April 15. Students examine some of the works that will be available at the “Buy Art, Not Drugs” fair. 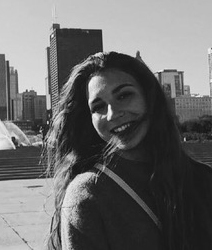 Kiki Karahalios studies art history as an undergraduate at the University of Utah. Her research interests include 18th and 19th century European and American art.